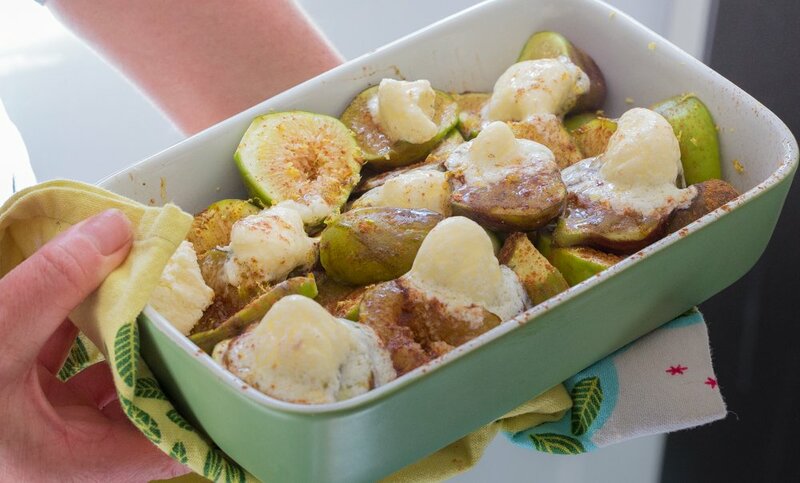 We’ve got another easy fig recipe for you. It’s a luscious dessert (that doubles as a naughty breakfast) and is a snap to make. Once again, we deploy our trusty hard-working toaster oven.